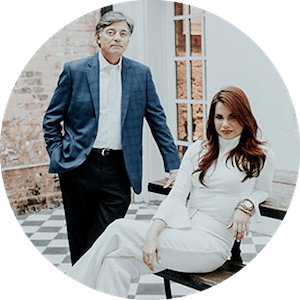 When hiring a delivery truck accident attorney in Louisiana, you can turn to the trusted advice of Hannah Salter and Cliff Cardone at the Cardone Law Firm. How is a delivery truck accident different than any other accident on the road? We're glad you asked that question. When you hire the Cardone Law Firm to handle your legal case, both Hannah Salter and Cliff Cardone will see your case to conclusion. Because they work together on every case, they have gotten together and outlined some of the most important things for you to consider when hiring a delivery truck accident attorney. They have dedicated this page to share an overview of Louisiana law and to provide you with insider information on the important considerations they conduct in every case as delivery truck accident attorneys. In most of the delivery truck accident cases we see, there is more than one person who is usually held responsible for the injured victim's damages. This is so because many people, and companies, play a part in the delivery truck industry. The person or company who owns the premises where the cargo is being unloaded if there is an unreasonably dangerous condition on the premises which causes or contributes to an accident. Take this for example - if a fleet manager was responsible for checking the tires on all delivery trucks, and a delivery truck had a tire blow out which caused an accident, the fleet manager may be responsible for your accident. The tire manufacturer and driver could also potentially be responsible in this scenario. It is critical to do a full legal assessment as to the responsible parties at the outset. Why? Because your recovery will be apportioned according to the comparative fault of any person who is liable in any way for the delivery truck accident. And, our experience usually shows there is more than one person responsible for the accident. Each company has different policies and procedures which must be assessed in determining whether any policy or policy violation played a part in contributing to the cause of an accident. For example, some delivery truck companies give their drivers an allotted amount of time per freight delivery. If they do not complete the delivery in this time frame, they may be required to inform their dispatcher of the delay and the reason therefor. This may create pressure on drivers to act negligently in their attempt to meet time demands. Some delivery truck drivers work 8+ hours per day, can get paid overtime, time and one-half and also get paid for time worked over 8 hours per day. Sometimes profit incentives can lead to delivery drivers spending too much time on the road and being fatigued behind the wheel. Failing to comply with policy procedures can often help establish negligence. For example, may forklift operators have a written policy they must follow. If the forklift operator fails to comply with the operator policy, this can lead to responsibility for the accident. When have seen this occur when a forklift operator fails to follow the proper written procedure for inserting forks into a pallet. The violation of the written procedure caused the load to tilt and injure a delivery truck driver. In this situation, the forklift operator was held responsible for the delivery truck driver's injuries because the forklift operator failed to follow the corporate loading policy. Delivery trucks are unique vehicles on the road because they are often required to make numerous stops to deliver goods. They stop and go more than other vehicles on the road. Because delivery trucks are constantly stopping, delivery truck drivers are often looking for parking spots and if one cannot be found the may parking their vehicle in a negligent manner. A delivery truck driver may be held responsible for an auto accident, if the way in which the delivery truck vehicle was parked, caused or contributed to another accident on the road. It is against Louisiana law for a delivery truck driver to park his unattended vehicle on any state highway shoulder when parking on the highway shoulder presents a hazard to public safety. See, La. R.S. 32:296. In Collier v. Benedetto, a delivery truck driver who parked on a shoulder was found 90% at fault for an accident at a nearby intersection. The way the delivery driver parked prevented other drivers from clearly seeing the intersection, and thus he was found to be responsible even when he was not actually involved in the accident. The court reasoned, but for the obstruction presented by the parked delivery truck, the other driver would have observed the oncoming car and avoided the collision. The Cardone Law firm is fully committed to analyzing any delivery truck accident. At the Cardone Law Firm, we understand not all delivery truck accidents happen on the road. The delivery and loading and unloading of cargo present many opportunities for other accidents to occur. In practice, some delivery truck drivers are required to help with the loading and unloading of their cargo, while other delivery truck drivers must simply ensure the cargo gets safely to the location. Once safely to the location, the cargo is then unloaded by another person or company. In situations where the delivery truck driver is only required to deliver the cargo, they still must use hydraulic lifts to either lower deliveries to ground level and/or to the loading dock. If a delivery truck accident occurs involving a hydraulic lift, one issue we must investigate is: who provided the loading/unloading equipment? And were there any additional fees associated with the delivery to be paid by the recipient? We also consider the written language of any contracts of delivery. The answers to these questions and information in these documents may impact who is primarily responsible for the accident. Forklifts are commonly used to unload freight and cargo from a delivery truck, making forklift accidents commonly associated with delivery trucks. When assessing fault for a forklift accident having a connection to a delivery, it must be determined whether the proper unloading procedures were followed by the forklift operator and/or the delivery truck driver. Delivery trucks often carry high limits insurance and typically heavily fight the claims made against their drivers. Because delivery companies often heavily fight legal injury cases, we sometimes employ certain experts, such as an accident reconstructionist to help prove our case. Because there are multiple people, employers, and companies involved in the delivery process, a proper legal assessment must be made by a delivery truck accident attorney to determine which issues are relevant to liability. Other assessments based on the facts of each case. We pride ourselves in sharing as much information as possible with potential clients considering hiring our firm. We hope this has provided you with some information regarding your delivery truck accident. We encourage you to contact us for a free delivery truck accident consultation so we can walk you through your most important questions. You can contact us online or at 504-522-3333. Hannah Salter and Cliff Cardone are the best truck accident attorney team. Hannah knows what to look for when assessing an injury claim based on her experience working for trucking companies in the past. Cliff has been trusted by his clients for over 30 years to fight for them against some of the biggest trucking companies in the nation. Serving clients across the state of Louisiana including, but not limited to, the following localities: Ascension Parish, Donaldsonville, Assumption Parish, Napoleonville, Baton Rouge, Jefferson Parish, Estelle, Gretna, Harvey, Kenner, Marrero, Metairie, New Orleans, Terrytown, Westwego, Lafayette Parish, Lafourche Parish, Thibodaux, Livingston Parish, Orleans Parish, Plaquemines Parish, Belle Chasse, and St. Charles Parish.